A distant view of the Washington Monument from the National Mall, a public national park. 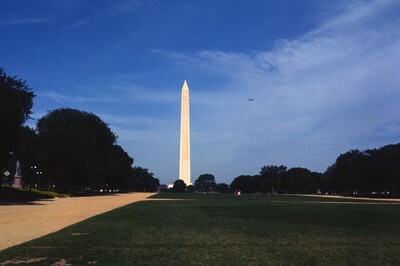 The Washington Monument, the most prominent fixture in the D.C. skyline, was completed in 1886. Smolski, Chet, "George Washington Monument" (2011). Smolski Images. 370.